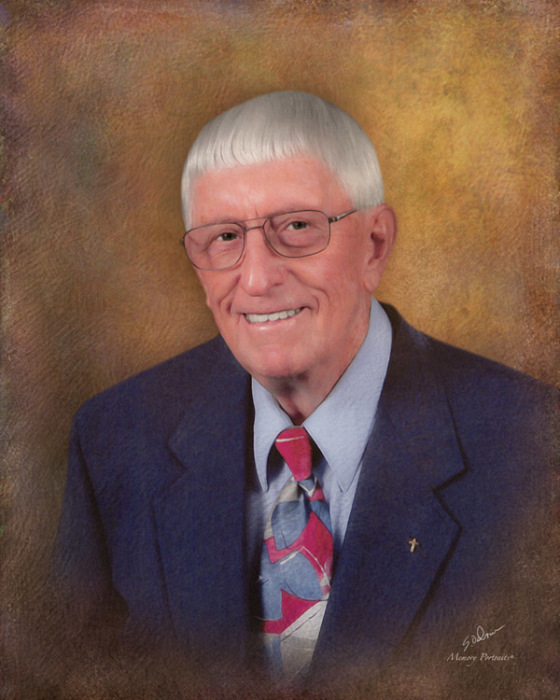 Kenneth C. Schurmeier, 93, of Princeton, went home to be with his Lord on Friday, November 23, 2018 at Gibson General Hospital in Princeton. He was born May 10, 1925 in Haubstadt to the late Herbert and Anna (Kramer) Schurmeier. He was a veteran of the U. S. Army, serving from 1946-1947. He had resided in Princeton since 1950 coming from Haubstadt. Kenneth retired in 1998 after being a school teacher since 1957, he had taught at Mackey, Baldwin Heights in Princeton, Princeton High School, Princeton Community High School and Princeton Community Middle School. He was a member of Bethel Memorial Church in Princeton. Kenneth still enjoyed going to the family farm near Haubstadt. He is survived by his 2 sons and daughters-in-law, Kent and Georgia Schurmeier of Haubstadt and Tim and Cheryl Schurmeier of Princeton; 9 grandchildren; 10 great grandchildren; a sister, Lillian Bertram of Georgia; a special friend, Joan McReynolds of Princeton. He was preceded in death by his parents; wife of 57 years, Faye (Holderbaugh) Schurmeier on November 1, 2008; a daughter, Rhonda Gail Thomas; a brother, Marvin Schurmeier; and a sister, Norma McKee. A Funeral service will be held at 2 p.m. Wednesday, November 28, 2018 at Colvin Funeral Home in Princeton, with Pastor Kevin Wilson officiating. Burial will follow at Walnut Hill Cemetery near Fort Branch. Visitation will be from 12 noon until the hour of service on Wednesday at Colvin Funeral Home. Memorial contributions may be made to Bethel Memorial Church. Envelopes will be available at Colvin’s. Colvin Funeral Home is honored to be entrusted with arrangements for Kenneth. You may leave a message of sympathy or light a memorial candle in memory of Kenneth at www.colvinfuneralhome.com.